The real advantage of appointing Century 21 Mittagong is their historical knowledge, professionalism & dedication for over 40 years in the local area. Century 21 Mittagong has achieved a reputation founded on a proud tradition of exceeding client expectations. Quality service and honesty is fundamental to the proven success of this established business. Principal Arvo Pikkat is the longest serving real estate agent in the Southern Highlands. 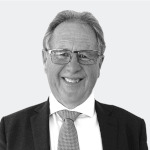 A lifetime passion and vocation has allowed Arvo to accumulate a vast knowledge of all facets of the industry including town-planning requirements, helpful to all clients especially those with local government issues, when they arise and happy to be of assistance to anyone who asks for help. The sales force includes Jenny Bailey with 20 years experience working for Century 21 Mittagong, a high achiever working honestly and fairly with all her clients. Jenny has been consistently ranked in the top 2% of sales people worldwide and awarded Top Country sales person for NSW over most years. Jenny is dedicated and passionate about real estate and considers herself a “straight shooter”. Deborah Matthews completes the successful sales team with 9 years experience, her commitment and patience has resulted in many awards over the years including Top Country sales person for NSW in 2015, 2014 and runner up in 2013. Deborah has built a reputation for patience, understanding, honesty and commitment to her clients. At Century 21 Mittagong we recognise that everyone wants to know the bottom line and that every property and client are different, and that is why we can tailor different marketing options to suit you. Our office selling fee is INCLUSIVE OF ALL ADVERTISING COSTS when you list exclusively for 3 months & this fee is only payable when we sell your property. Not only do we use a vast array of marketing to draw new buyers to your property, but we also make use of our extensive qualified buyer database, increasing your chances of finding the perfect buyer. "From the moment I walked into the offices of Century 21 and spoke with you, the entire process has been without a hitch and I have to say I have never worked with a more efficient and thoroughly professional organisation in every aspect"
"Thank you for all of the hard work and time you have put in for us. We both feel that we were lucky to have you selling our house." "Thank you for all of your help in getting the Bullio sale over the line. Thank you also for taking our calls on your days off and holidays, it was much appreciated. You kept us informed every step of the way"